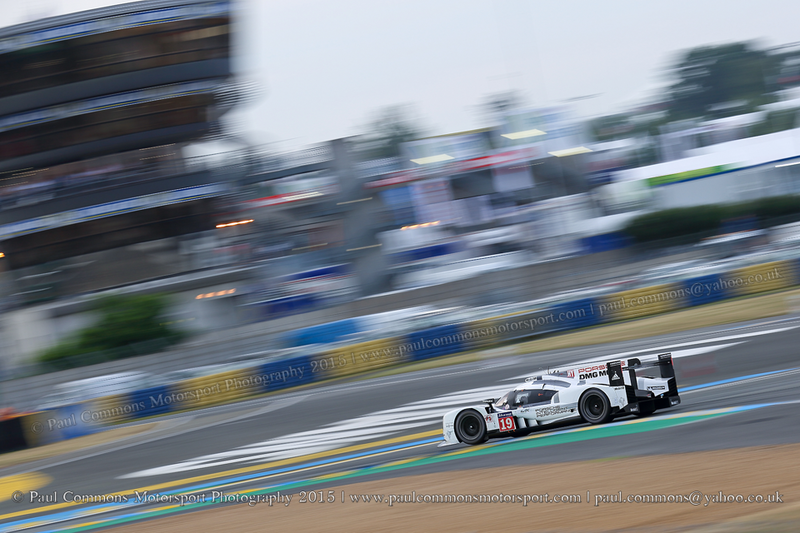 17 years on from the German marque’s last win, Porsche recorded their 17th overall Le Mans 24 hour race victory as Nico Hülkenberg, Nick Tandy and Earl Bamber drove a faultless race to take the flag 1 lap clear of their more fancied team-mates. Whilst no one was surprised by the qualifying pace of Porsche, Audi’s performances at both Silverstone and Spa cast doubt over whether they could defeat their sister brand in the race. After-all, qualifying 1, 2 and 3 means very little over a race distance of 24 hours. And so it was no great shock that Neel Jani’s stunning 3:16.887 early on in qualifying 1 was enough to grab pole; teams deciding to forgo grid position in preference for race set-up over the remaining time available. With no real contest for pole, off-track discussion centred around how fast Porsche could actually lap circuit de la sarthe with some even suggesting that a gentleman’s agreement was the only thing standing in the way of the 3:15 barrier! Regardless, a 249kph average lap time is incredibly quick and nearly 6 seconds quicker than the fastest lap achieved in 2014! Thankfully Saturday was warm and dry which seamed to suit the #17 Porsche as it climbed to the top of the time-sheets in the hands of Timo Bernhard; the long time factory driver managing to hold the Porsche mantle as the sister cars fell behind the fast charging Audis. Brendon Hartley would later carry on the good work only to be charged with a 1 minute stop go penalty for speeding in a slow zone; a penalty later served by Mark Webber, hampering the Australian ex F1 star’s continued search for a maiden Le Mans victory. As darkness engulfed the circuit des 24 heures, Romain Dumas found himself in the Mulsanne Corner tyre wall; a feat later replicated by Neel Jani as the #18 pole sitting Porsche drifted out of contention. But just as the #17 and #18 cars were faltering, the #19 crew were finding their rhythm. After struggling early on, Nico Hülkenberg , partially aided by a safety car, was able to bring the white Porsche right back into contention and was leading the event by the time he had handed over to Nick Tandy on lap 146. The Englishman then, quite possibly, put together the stint of the race to pull away from the the chasing Audi’s. Not only did the Porsche have the pace, but like Hülkenberg previously, Tandy was able to quadruple stint the tyres in the now cooler conditions. And when New Zealand’s Earl Bamber jumped into the car some three hours later at just after 3am, the lead was hovering at around the 1 minute mark. Ironically it was the usually bullet proof Audis which ran into trouble on Sunday with the #9 suffering Hybrid issues and the #7 losing an element of it’s rear body work. A messy race for the Andre Lotterer, Marcel Fassler and Benoit Treluyer Audi, which had seen the pre event championship leaders drop back courtesy of an early puncture, worsened as Fassler was penalised for a safety car infringement. 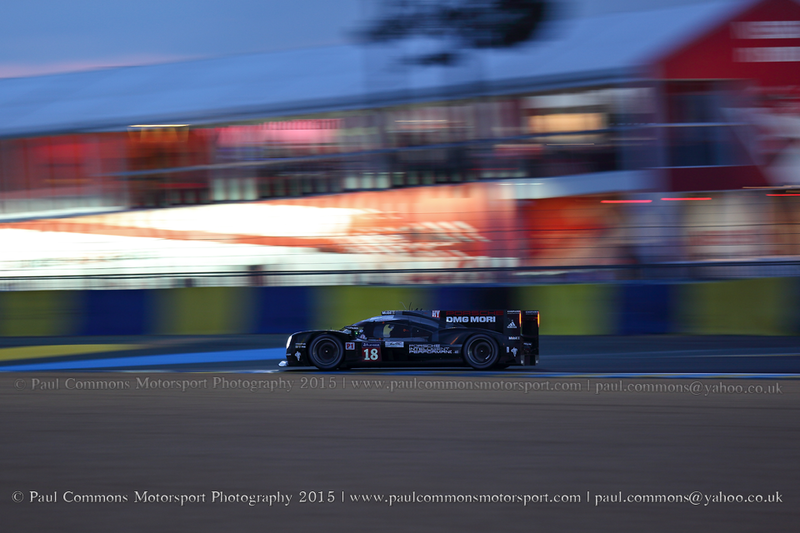 With the #17 now back up to second position, Porsche just needed to keep going to claim a famous 1-2. And that they duly did. The #19 car had run like clock work for the entire race. Whilst their rivals had all hit trouble, the conditions came to the rookie crew; all three drivers able to string together consistently quick lap times and claim one of the most famous and unexpected victories in recent times. It may not have been the close finish we were anticipating, but this will be remembered as one of the great Porsche victories; especially given it was the less favoured ‘3rd’ car that took the spoils. A winning margin of 48 seconds for the KCMG Oreca of Richard Bradley, Nic Lapierre and Matt Howson tells a misleading story of the race. As it was, the fantastically liveried KCMG machine was utterly dominant throughout qualifying and the 24 hours, with Richard Bradley setting the scene for Nic Lapierre to make a classy return to the cockpit. In fact, such was the pace of the Hong Kong based team that they remained in the class lead despite two separate ‘straight on’ incidents at Arnage and a drive through penalty in the first half of the race for a yellow flag infringement. Things may not have been so easy for them had last year’s winners, Jota Sport, not encountered early problems which caused them to lose more than a lap to their rivals. Oliver Turvey, Mitch Evans and Simon Dolan subsequently went on to put in a phenomenal drive; Turvey passing the #26 Ligier of Sam Bird to claim second in the final hour and miss out on the win by less than 1 minute. Comparable to Silverstone, Aston Martin showed bucket loads of promise in qualifying but faded as the race progressed; their hopes disappearing entirely as the leading #99 Aston Martin collided with the Thiriet by TDS Racing Oreca in the early hours of Sunday morning. 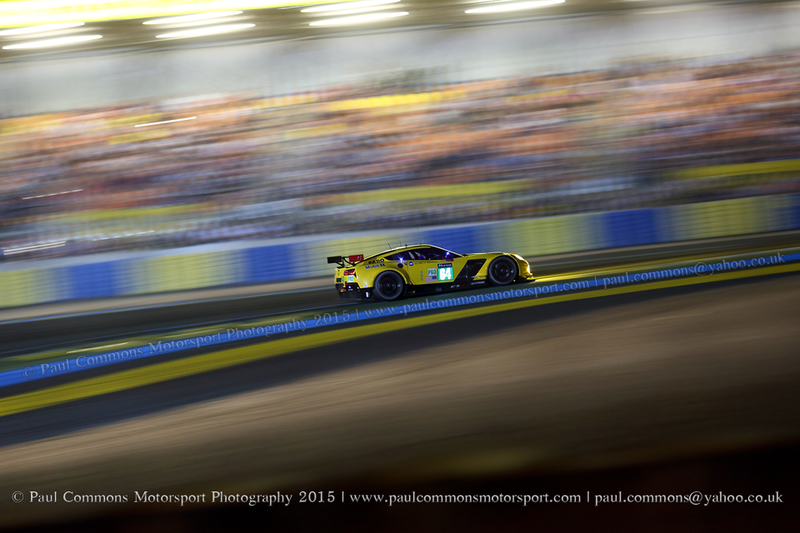 Instead, as daylight appeared, the GTE-PRO battle was being fiercely fought out between the sole remaining #64 Corvette and the #51 AF Corse Ferrari. Down to a single entry following Jan Magnussen’s heavy crash in qualifying, it was with some surprise that the Pratt and Miller ‘Works’ Chevy was dicing with the vastly experienced Ferrari crew. At around 17 hours in, the Corvette crew gambled on changing the brakes during a safety car period, a risk which appeared to have failed when they missed their intended safety car slot by 10 seconds, losing a minute to their rivals as a result. However, only a fool would suggest the race was over with 7 hours still to go and unexpectedly the usually reliable Ferrari hit trouble in the final stages, leaving the way clear for Oliver Gavin, Jordan Taylor and Tommy Milner to take a famous class victory for the American team; their first since 2011. The #98 Aston Martin of Paul Dalla Lana, Mathias Lauda and Pedro Lamy was hot favourite in the GTE-AM class, and while it took a while for them to rise to the top, they held a clear advantage entering the final hour. But then, disaster struck with Dalla Lana appearing to make a mistake at the Ford Chicane and suffering a big impact with the drivers left tyre wall in front of the packed grandstands. There was no way back to the pits for the badly damaged Aston, leaving the desperately unlucky Canadian with nowhere to hide. The SMP Racing Ferrari of Victor Shaytar, Andrea Bertolini and Aleksey Basov had kept the British team within touching distance throughout the race and whilst somewhat fortunate to inherit the win they were fast enough to cross the line in 20th position overall, the second GT car home, and just 5 laps down on the GTE-PRO winning Corvette. Pretty impressive stuff by the Russian based squad. In the 50’s and 60’s it was common place for F1 drivers to take part in the world’s greatest endurance race, but since then very few drivers have combined both; partly due to an increased number of Grand Prix but mainly due to restrictions imposed by the F1 teams. It was therefore a breath of fresh air to not only hear that Nico Hülkenberg had approached Porsche about taking part, but more importantly Force India had allowed him to take up the opportunity. With such strong factory driver line ups, Hülkenberg, Tandy and Bamber, having not much experience of racing together, would not have featured in many peoples winning predictions. But whilst everyone loves an underdog, not all are seeing a current F1 driver standing on the top step of the podium in a positive light. Social Media jokes along the lines of “Weekend off, won Le Mans” taken out of context could suggest that the great race is too easy as well as undermining the contribution of Tandy and Bamber. However, the way I see it, a driver of Hülkenberg’s calibre winning Le Mans can only help promote the event and the WEC in general. 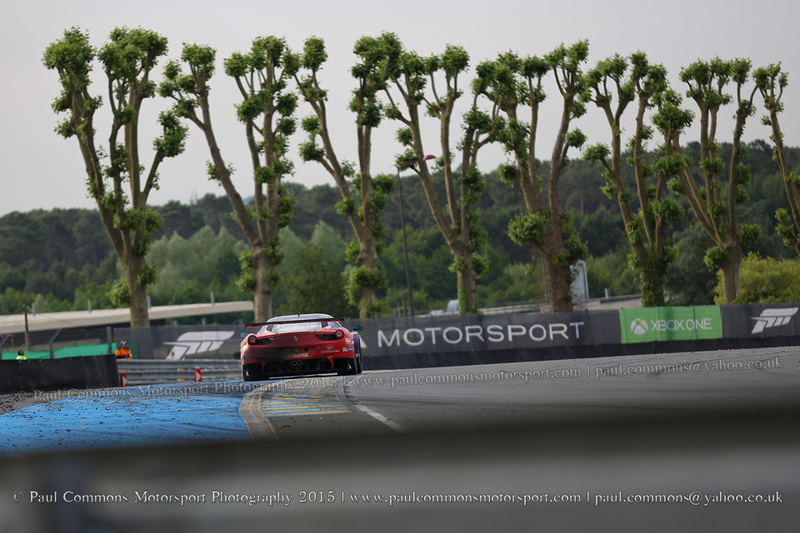 Casual F1 fans with previous vague understandings of Le Mans may delve further into the concept and the traditionally none motorsport press are more likely to report it. The more interest, the more likely current manufacturers will stay around and the greater potential for others to be attracted. After-all, this wasn’t just any F1 driver who claimed 24 hour glory but in the eyes of many (myself included) one of the most under-rated drivers in the F1 paddock. Of the current crop, the tall 27 year old is the only man to boast a better junior formula record than Lewis Hamilton. And combined with his F1 performances, his height is perhaps the only thing stopping the likeable German from obtaining the top level seat he deserves. Tandy and Bamber may well not achieve the same column inches as their illustrious team mate, but then they haven’t had the same level of prolonged success. What really matters is that those in the know, especially those in the Sportscar press appreciate the fact that Sportscar Racing is most definitely a team sport, more so than any other motorsport formula. Rightly so, Tandy was many people’s star of the race for his demon Saturday night and Sunday morning stints, whilst it was Bamber who set the car’s fastest lap and none of it would have been possible without the slick work of their pit crew. Overall I was most impressed by how well the trio gelled together in such a short space of time; creating a setup which clearly worked for all 3 drivers during the race and going on to achieve one of the greatest feats in recent endurance racing history. 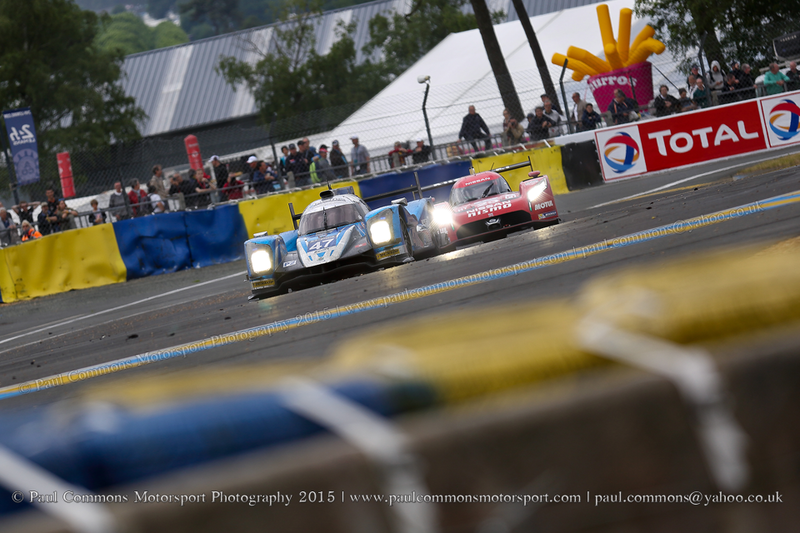 The winning driver line up formed from 3 Le Mans LMP rookies with just 4 starts between them. I just hope they get the chance to defend their crown!